Friends don't let friends joke about terrorism. Especially on a plane. Yogvedant Poddar, a 21-year-old Jet Airways passenger was taken into custody after he a covered half of his face with a handkerchief and captioned the photo: "Terrorist on flight, I destroy women's hearts." According to the BBC, he was sending the image to a friend via Snapchat when a fellow passenger caught a glimpse of the photo and alerted the crew. "The pilot reported the matter to the ATC (air traffic controller)," an airport official said, and aborted take-off. The police, who were on high alert due to the anniversary of the 2008 Mumbai attacks, took Poddar into custody for questioning. The domestic flight was flying to Mumbai from Kolkata, where Poddar was headed for a job interview, according to multiple sources. Though the young passenger's bags were also offloaded and reexamined, nothing suspicious was found. "His social media language... was inferred as a security threat," the Airports Authority of India said in a statement. 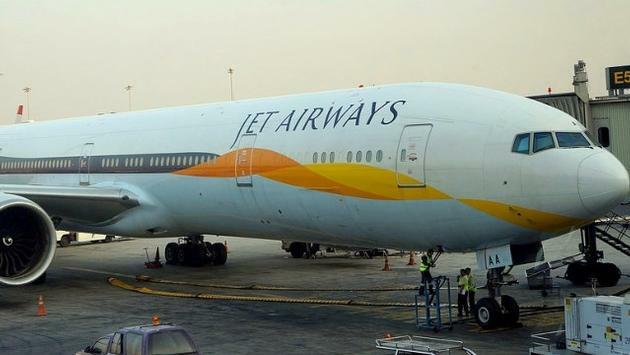 The flight, which had more than 150 passengers and seven crew members on board, was finally cleared for takeoff after being delayed by about an hour and a half.